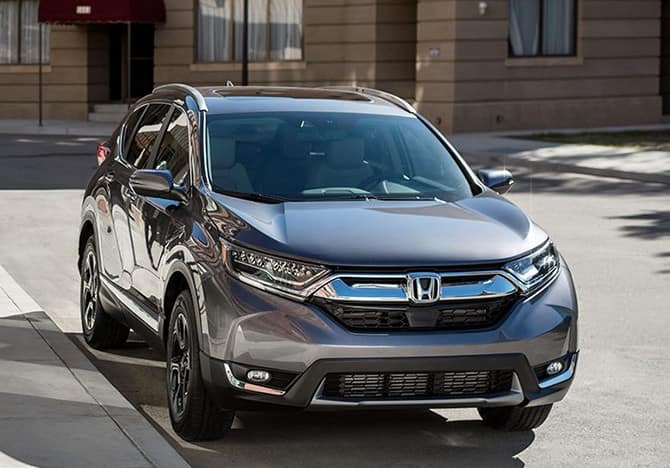 The 2018 Honda CR-V is a dynamic crossover SUV that offers drivers a compact size on the road with plenty of comfort and luxury inside. 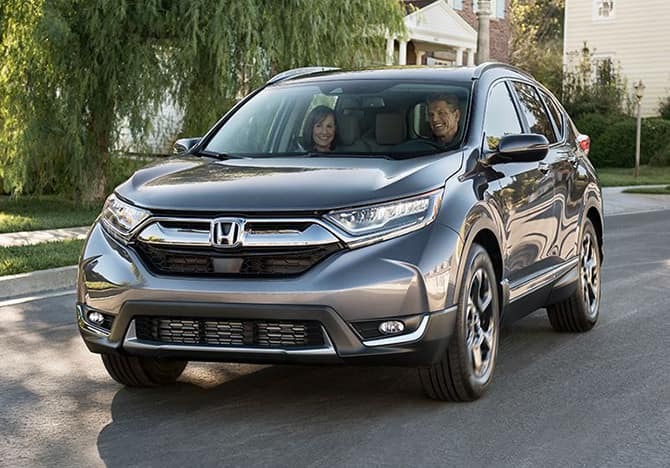 With technology, sophisticated amenities, and convenience features that makes life inside a little easier, the CR-V is a great crossover option for Mid-Michigan drivers. 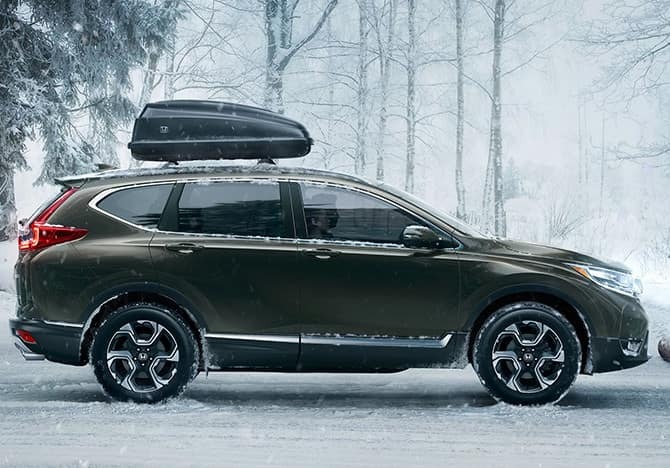 But it’s the power, available AWD, and cargo space that make the CR-V undoubtedly a utility vehicle, which means it’s ready to tackle tough jobs, go off the beaten path, and meet any adventure head on. Real Time AWD with Intelligent Control System is available on every model of the CR-V. It ensures the CR-V performs at its best despite weather or road conditions. By adding better traction control, minimizing skidding or slipping, and offering drivers more agile handling, the CR-V is ready to tackle any road. And that can be crucial for navigating icy Michigan roads in the winter.. The CR-V is powered by a standard 2.4L 4-cylinder engine. This dynamic engine produces up to 184 horsepower and 180 lb.-ft of torque. For drivers who want even more power, the EX, EX-L, and Touring models all have an upgraded turbocharged engine that will produce up to 190 horsepower and 179 lb.-ft of torque. But no matter which engine is right for you, the CR-V comes with a Continuously Variable Transmission (CVT) with Sport Mode for excellent performance on the road. Drivers who are looking for a crossover that can also handle a towing job, the CR-V has you covered with a towing capacity of 1500 lbs. The CR-V also comes with an available trailer hitch to get the CR-V equipped and ready to tow smaller or lightweight trailers. 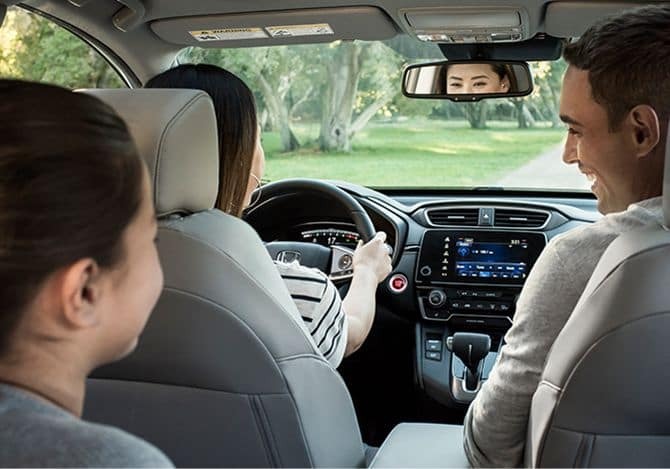 The interior of the CR-V is versatile and spacious for both passengers and cargo. The rear seat is a 60/40 split and can be rearranged in several different configurations to accommodate large or awkwardly shaped cargo items. With seating for five and a passenger volume measuring at 105.9 cubic feet, even tall passengers sitting in the rear will have plenty of head and leg room. Behind the rear seat, there is 39.2 cubic feet of cargo space. 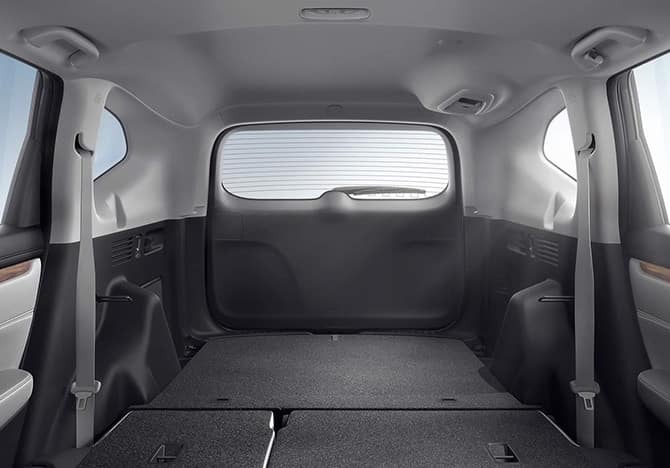 For even more room for cargo, fold the rear seat down completely flat for 75.8 cubic feet of space. Ground clearance is the distance between the road and the lowest part of the underside of the CR-V. A high ground clearance means better off-roading performance and the ability to drive over small obstacles without damaging or scraping the underside body. Higher than previous CR-V models, the ground clearance in the 2018 CR-V varies slightly depending on whether you choose the 2WD or the AWD version. With 2WD, drivers will have a ground clearance of 7.8 inches and with AWD that rises to 8.2 inches. Whether you’re heading to a remote campsite or traveling on an unfinished path, the CR-V keeps you high above it all. Fuel economy can be an important factor when shopping for any type of vehicle. The CR-V is designed to achieve impressive fuel economy. The estimates vary slightly depending on which drivetrain is right for you, but no matter which combination you choose, you’ll save time and money by driving further with less visits to the pump. 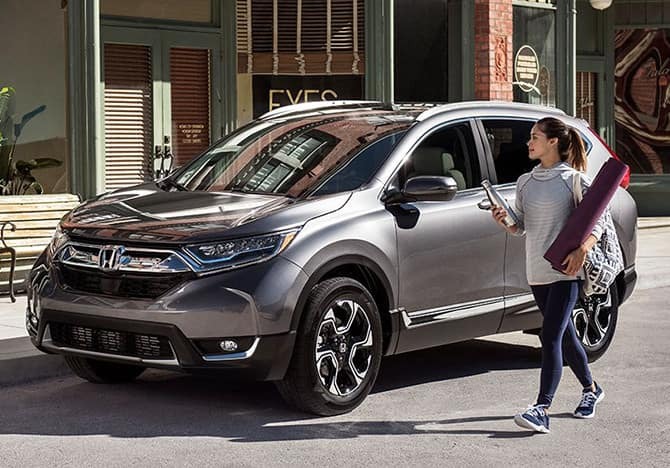 Find out more information on the 2018 Honda CR-V by contacting us or by visiting your nearest Mid-Michigan Honda Dealer. Explore current offers and experience the utility of the CR-V first-hand when you take one for a test drive today.